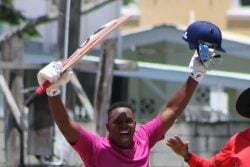 BRIDGETOWN, Barbados, CMC-A one million US dollar pay-out is up for grabs for a lucky fan of the third edition of the Hero Caribbean Premier League (CPL) starting this weekend. 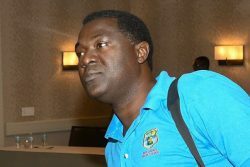 Organisers of the eagerly anticipated T20 tournament say the promotion titled ‘Catch a million’ is an incentive for fans to attend the 33 matches from June 20 to July 26. Fans who catch a six one-handed at a CPL match, will automatically win US$1,000 and a chance to win a trip to Trinidad for the finals. The public will vote on the best catches online at CPL’s official Facebook page to decide who makes the trip to Trinidad. If selected and the feat is repeated at the final, the lucky fan could win US$1 million subject to terms and conditions. 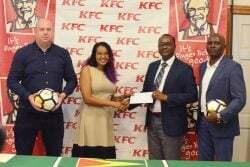 “Tickets are already selling out fast as excitement ramps up ahead of CPL 2015, and there definitely won’t be many left when fans find out about the chance to win US$1 million!,” said Damien O’Donohoe, Chief Executive, Hero CPL. “Catch A Million is absolutely massive for the Caribbean, and we’re so thankful to Guardian Group for making this once in a lifetime prize possible.” Last year’s CPL produced 387 sixes over 30 matches with Chris Gayle and Lendl Simmons topping the charts, after blasting twenty-four maximums each. Organisers say more fireworks are in store with the likes of Shahid Afridi and Kevin Pietersen joining the ranks this year. “We’re thrilled to be supporting the CPL to introduce Catch A Million, and we wish all the fans the best of luck during the tournament,” said Larry Olton, Group Vice President – Integrated Marketing Communications, Guardian Group. Hero CPL 2015 starts with a repeat of last year’s final, as defending champions, Barbados Tridents, host Guyana Amazon Warriors, at Kensington Oval, tomorrow.